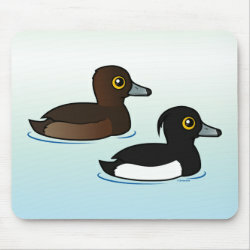 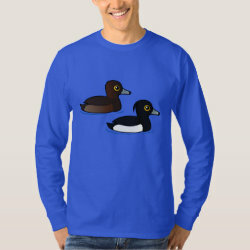 more... none; background-color: #ffffff;">Tufted Ducks are cute black and white diving ducks that live in parts of Asia and Europe. 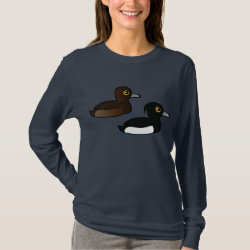 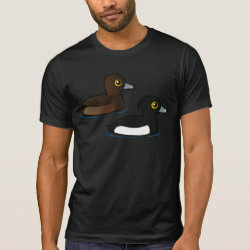 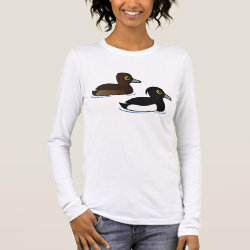 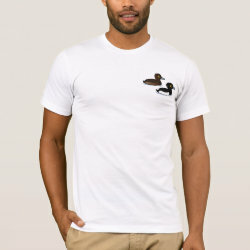 This design has a male and female duck swimming together. 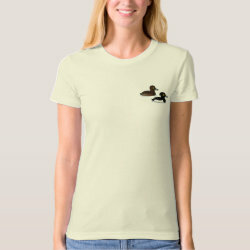 Males have strking contrasting plumage and a long tuft at the back of the head. 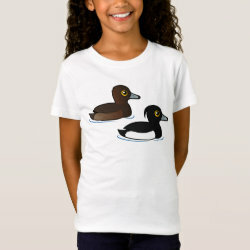 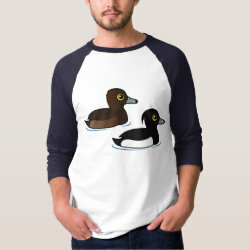 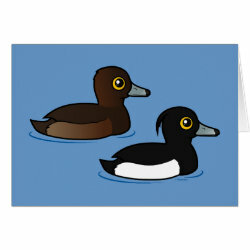 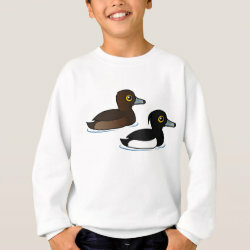 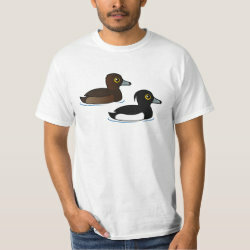 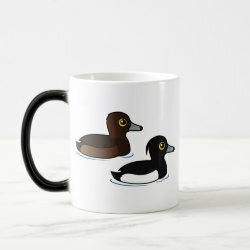 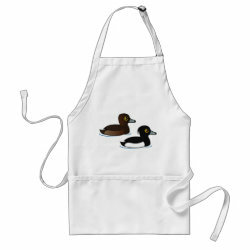 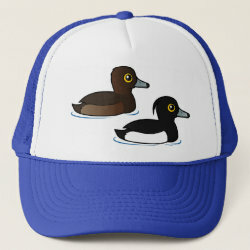 This cute original cartoon duck design makes a great gift idea for anyone that loves ducks!